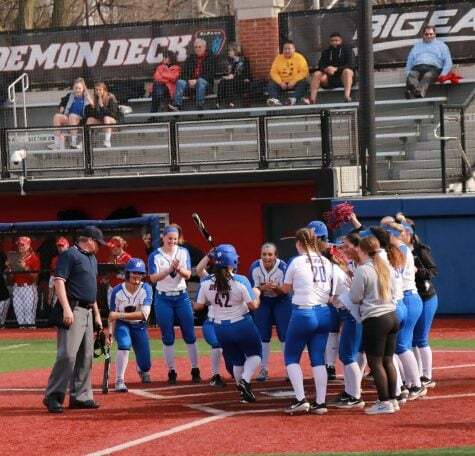 Since their solid start this season, DePaul’s softball team has had great success against competitors like Villanova and Seton Hall. 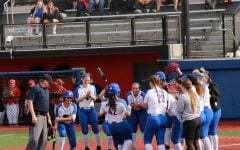 Now, with less than a month in the season to go, the team is preparing to uphold its position in the Big East Tournament. 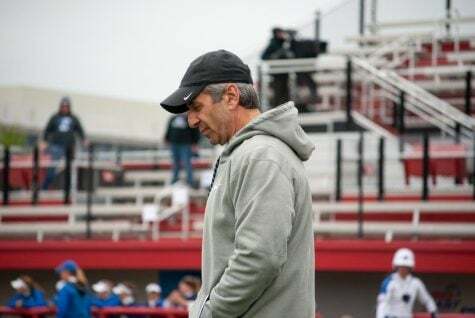 For his part, head coach Eugene Lenti says he’s looking to keep the momentum going. “We usually have the same goals each year. We want to become the Big East champions and advance as far as we can in the NCAA Tournament,” he said. 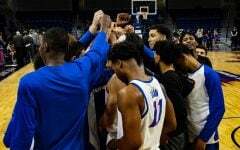 This season the Blue Demons have been backed by a number of solid, well-rounded players, and an influx of freshman skill. Among this season’s recent addition to the Blue Demon family is Oregon native Pat Moore. 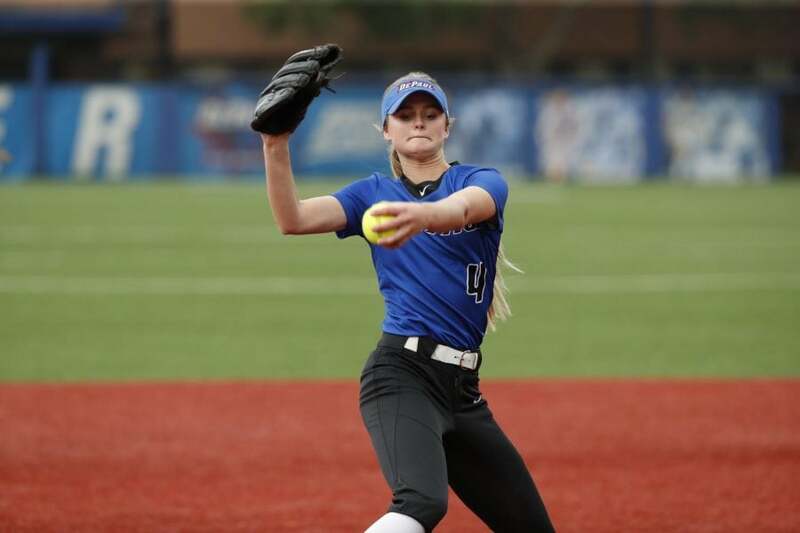 Having played softball since the age of six, the freshman pitcher has been showcasing her talent on an off the field. 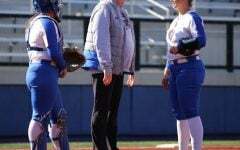 As a freshman Moore has brought a positive effect to the team’s pitching staff. 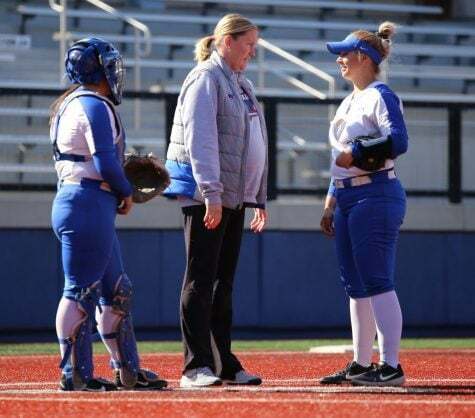 She is the only freshman pitcher, sharing the position alongside senior Kennedy Garcia and sophomore Missy Zoch. 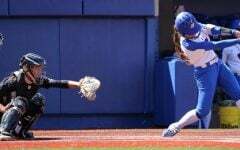 Moore has been settling in as both an athlete and as a freshman this year, learning how to balance academics, athletics and her social life. 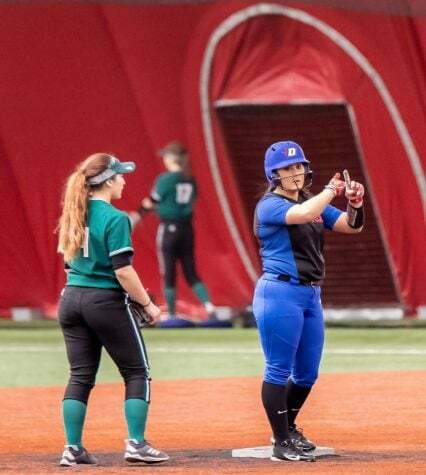 While the changes have been substantial and it has sometimes been difficult for her being so far from home,, Moore has found herself taking advantage of support both on campus and on the field. 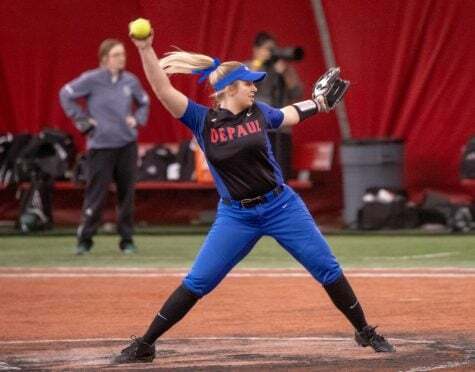 As one of several freshman additions to the softball team Moore has been settling into the DePaul community as a Blue Demon this season. Since transitioning to DePaul, like many freshman students Moore is adjusting. A long ways from home, Moore misses her family, but says that the transition has not been huge. 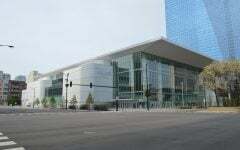 Part of this can be attributed to fellow teammates and coaches at DePaul who have made the transition much easier for the freshman. 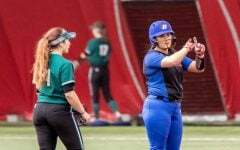 As the season progresses and she matures as a player, Moore is finding ways to stay motivated and challenge herself as a player. She’s looked to the upperclassmen on the team for both inspiration and improving her game. Before a big game, Moore says she gets energized from the music playing in the locker room. She doesn’t have a particular song or pre-game playlist that she listens to but she does gravitate towards country music. “Country music is calming,” she said. 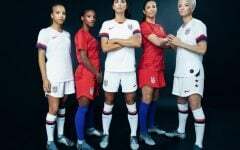 Moore’s teammates speak highly of her as well. “She definitely shows her youngness a little bit more, but has a good fight to become a better player. She throws the hardest and is really positive. 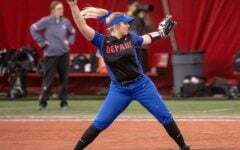 Adding Pat has added depth to the pitching staff,” said Zoch. 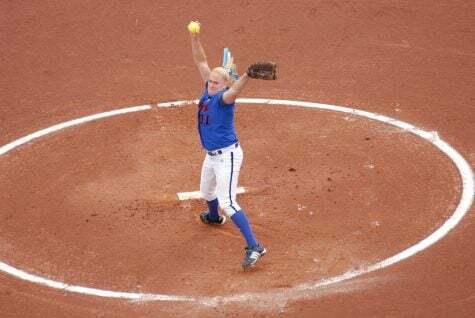 It’s that diverse pitching staff that has greatly assisted the team’s success this season, with Moore playing a key role the roster’s versatility. Through the Blue Demon’s April 8 matchup against Georgetown, the freshman boasts a 2.18 ERA and 121 strikeouts in 93 innings pitched. Moore’s abilities on the field will continue to be vital, as the team prepares to compete against St. Johns and Butler in the wake of their successful conference matchup against Villanova. In the meantime, Moore is definitely a player to watch.